Our audio engineers can discuss the physics of sound waves or streaming video at length, but what matters most is how well your meeting, game, or presentation is heard, as well as the most efficient message or presentation to a single viewer or mass audience. Whether bar or restaurant, auditorium, corporation, building amenities, or distributed paging and audio, we implement the most efficient solution for maximum ease and productivity. 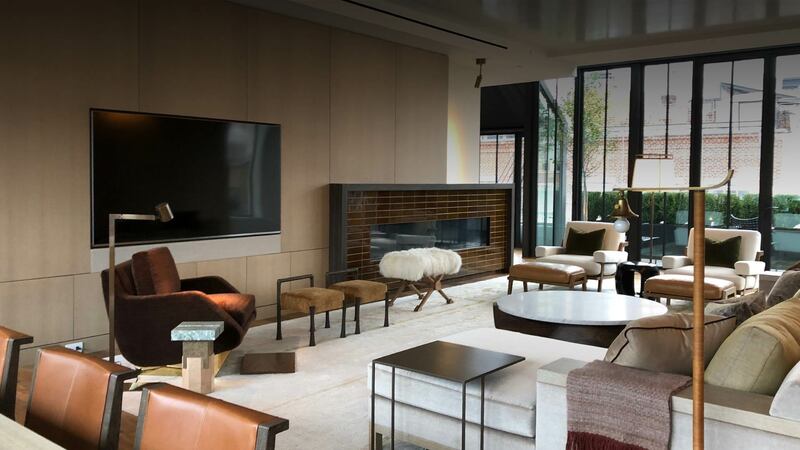 Multi-floor NYC Penthouse with two theater rooms, shade and lighting control.